Hungary is renowned all over the world for its high standards and advanced medical procedures, with many of their medical profession teaching and practicing internationally. Hungarian dentists and surgeons’ qualifications are internationally acknowledged. The country has some of the lowest MRSA rates in Europe, and provides access to high class and affordable elective, orthopedic, cosmetic and dental surgeries. Procedures are carried out in Budapest clinics with modern up­to­date facilities and run by internationally trained, English speaking doctors and surgeons. With the high level of professionalism and the premium service available you can effortlessly combine your treatment with a relaxing break. The city of Budapest is a particularly relaxing place to recover from surgery with the many rejuvenating thermal spas. 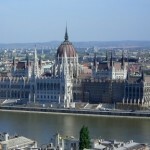 About the Hungarian healthcare system Hungary has an all­inclusive health system for every tax payer, set up in 1945 ­ pre­dating by 2 years, but similar to the British National Health Service . There is also a thriving private system that works on a treat­and­then­pay basis. Private hospitals are equipped with state­of­the­art modern technology and facilities. It is a well known fact that Hungary has one of the most demanding medical and dental educations in the world. 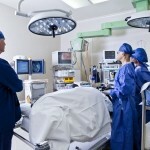 – Study for a diploma at medical university for 6 years. – After completing their residency they take another exam before gaining their diploma qualifying them to be a full medical surgeon. – In order to continue to be able to practice, they must fulfill the requirement of an average of 50 hours of further education each year (twice as many hours as in most Western countries). All doctors have to be registered and receive permission to practice from the government department: Orvosi Kamara (Chamber of Medicine). All clinics and hospitals have to be approved and registered with the government health department and all doctors have to also be registered, declaring their diplomas and qualifications to the same department, before they are allowed to practice at a particular institution. This also applies if the surgeon works at more than one institution then he/she has to be registered at all places of practice. 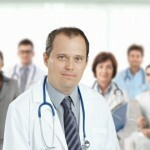 Surgeons and doctors are known simply as Doctor or Mr, and doctors state their speciality. The country also boasts a collection of thermal spas (around 400 thermal springs in 85 different locations) whose therapeutic and medicinal properties have attracted visitors for many years and have been recognized by the Ministry of Health. Thermal water absorbs minerals from the earth’s crust and is especially good for muscle tension, aches and pains or circulatory/injury rehabilitation. Situated in the heart of Europe, the Republic of Hungary lies in the Carpathian Basin in Central Eastern Europe and is bordered by Austria, Slovakia, Romania, Serbia, Croatia, Slovenia and Ukraine. Rich in history and culture, as well as natural beauty, Hungary is a remarkable country to visit and combine with surgical treatment. With a population of around 10 million and a central European climate of very hot summers and raw cold winters, Hungary has plenty of natural beauty and fascinating artistic, historical and cultural attributes, after surviving many a heroic struggle against oppression. Today Hungary is known as the Gateway to Europe, but this central position has resulted in various invasions and occupations, by the Turks, the Habsburgs, the Germans and the Russians, and each has left their mark here ­ for example, the Turkish thermal baths, the Austrian Citadel on Gellert Hill, Szent István Basilica, the world’s largest Synagogue, and the Russian statues now in a park on the outskirts of the Budapest. The capital, Budapest, is located in a central northern position on the banks of the river Danube and is considered to be one of the top European destinations. A bustling, vibrant and architecturally beautiful city, there is plenty to see and do, and despite the many invasions and uprisings the city’s original charm remains: Imagine sipping drinks in one of the many coffee houses which have long time been popular haunts for poets, soldiers, musicians and aristocrats with passionate gypsy music in the background, overhearing locals’ heated discussions, or watching yellow trams hurtle down cobblestone streets passing facades marked with signs of revolution and magnificent old apartment blocks. Hungary was one of the first Eastern European countries to enter the European Union in 2004, however the Euro hasn’t arrived just yet; the currency is the Hungarian Forint, and the exchange rate is roughly 300 Ft to €1.